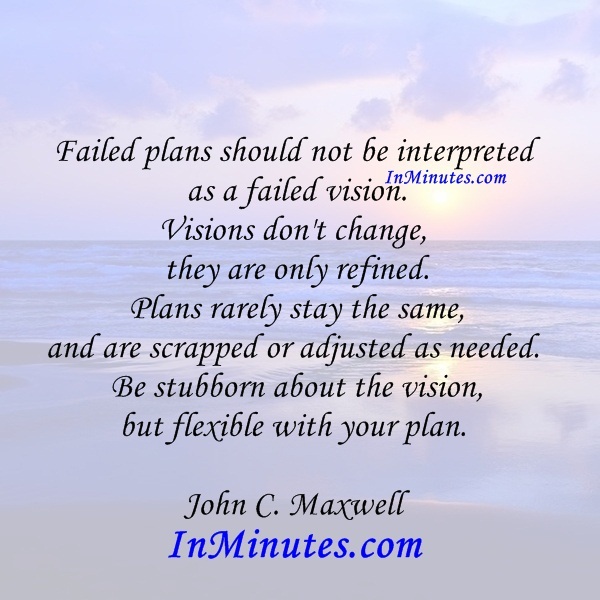 Failed plans should not be interpreted as a failed vision. Visions don’t change, they are only refined. Plans rarely stay the same, and are scrapped or adjusted as needed. Be stubborn about the vision, but flexible with your plan.